Participants receive a custom, Brooks® long-sleeve technical shirt, valued at $36. Enjoy free race day photos, published directly to your Facebook timeline after the event! Receive a beautifully-designed event finisher medal, not revealed until the finish line. Enjoy free post-race food and Summit beer (with valid ID) at our 27th mile celebration! 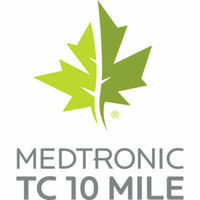 Download the free Medtronic Twin Cities Marathon Weekend app to track up to 20 participants! Meet your race day goal by following a Clif pace leader who runs an even pace and offers encouragement! A short, affordable flight and hotel deals make this U.S. Bucket List race a perfect destination race-cation.